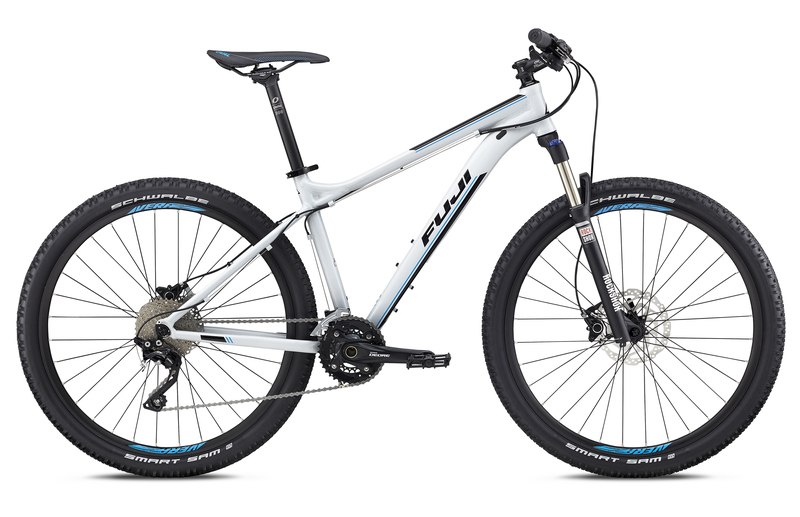 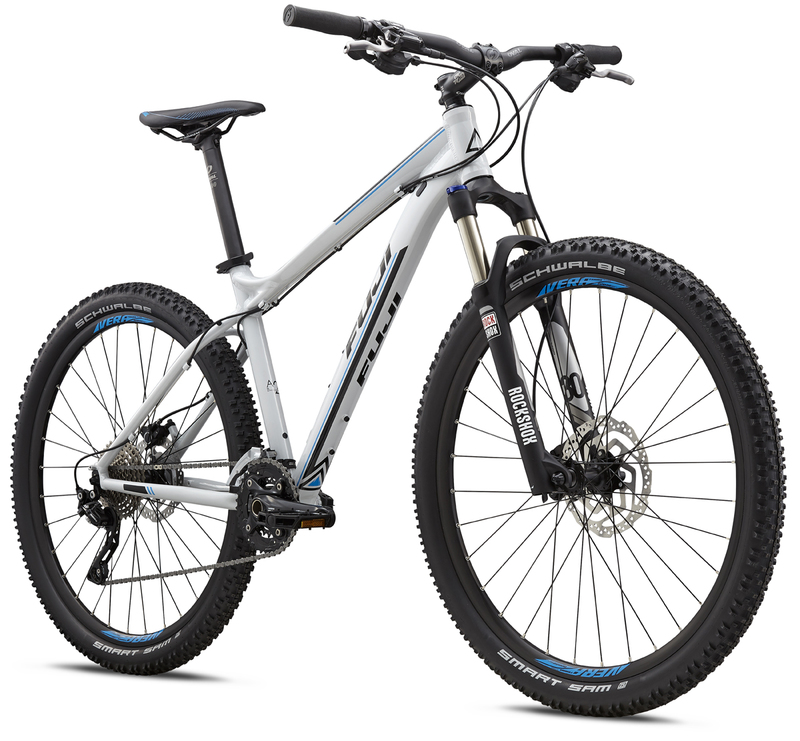 Mountain Bikes | FUJI 2018 NEVADA 27.5 1.1 | NEVADA 27.5 1.1 | FUJI 2018 | BikeShopWarehouse.com | The Fuji Nevada 27. 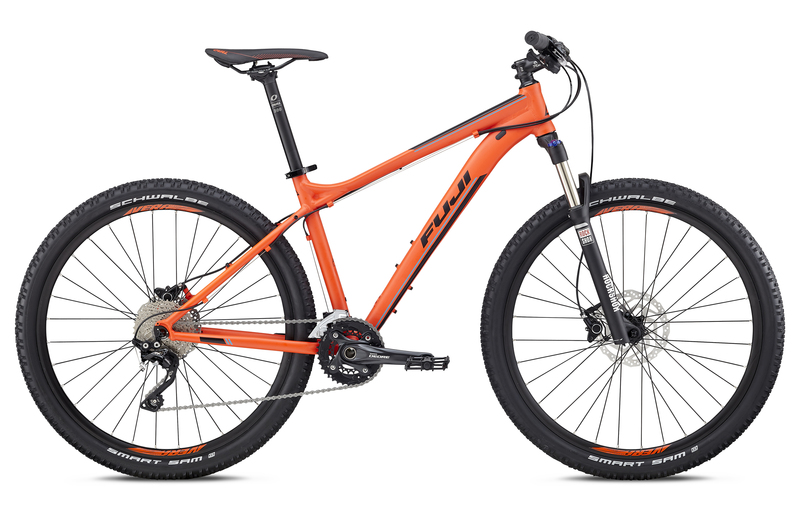 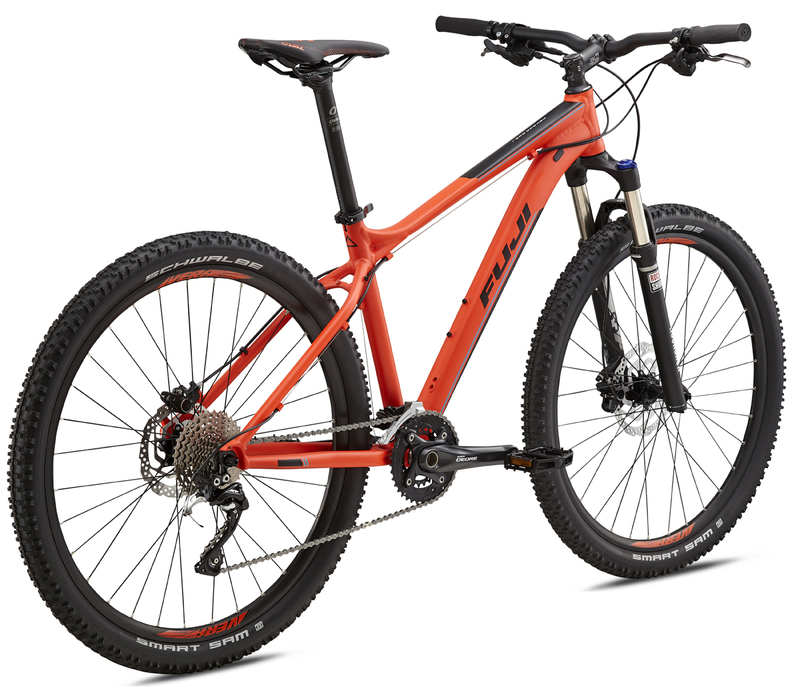 The Fuji Nevada 27.5 1.1 is the perfect mountain bike for taking on anything from neighborhood streets to the gnarliest single-track trails. 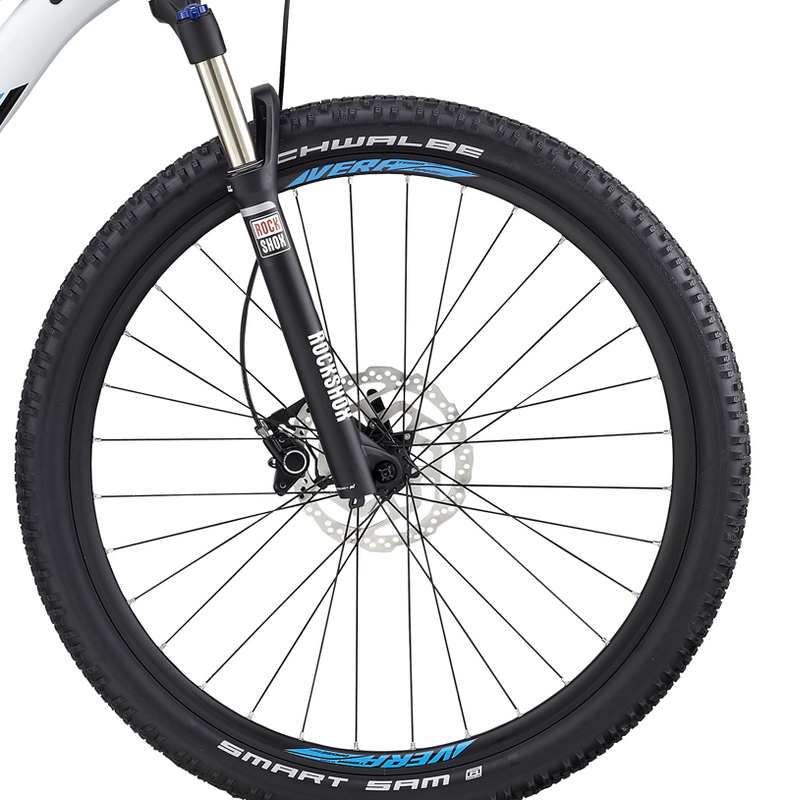 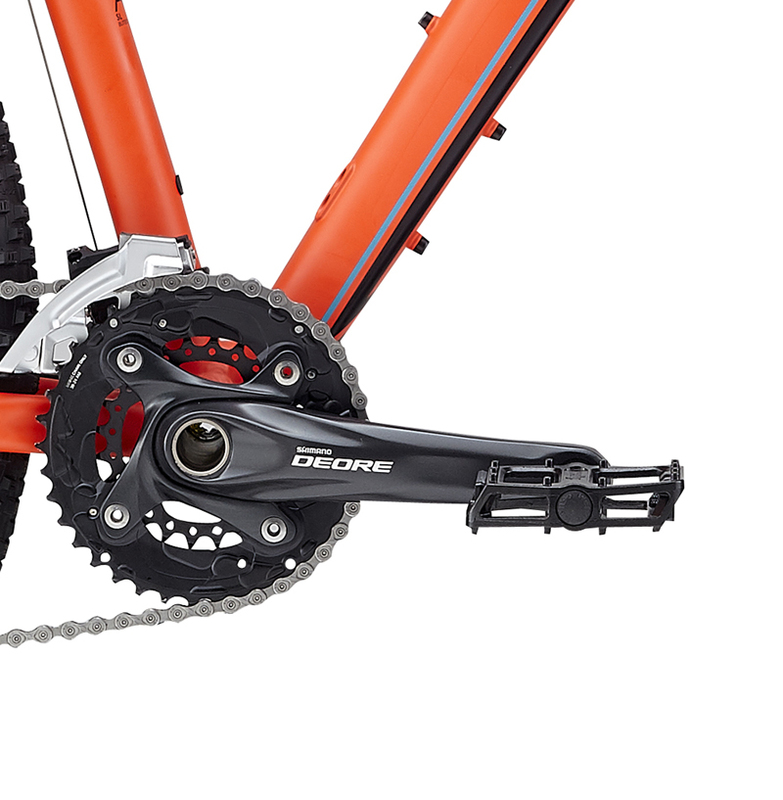 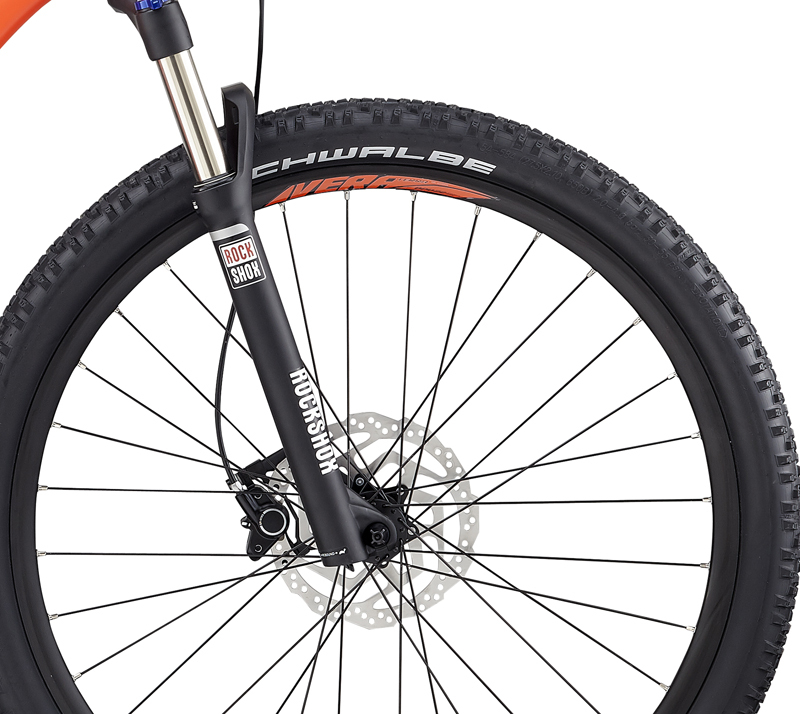 It features a proven Shimano 20sp Drivetrain (2x10), wide range Shimano Gearing, a RockShox Fork w/ 100mm Travel, powerful Shimano Hydraulic Disc Brakes, and Stout Vera Terra DPD 22 27.5" Wheels & Schwalbe SmartSam Tires. 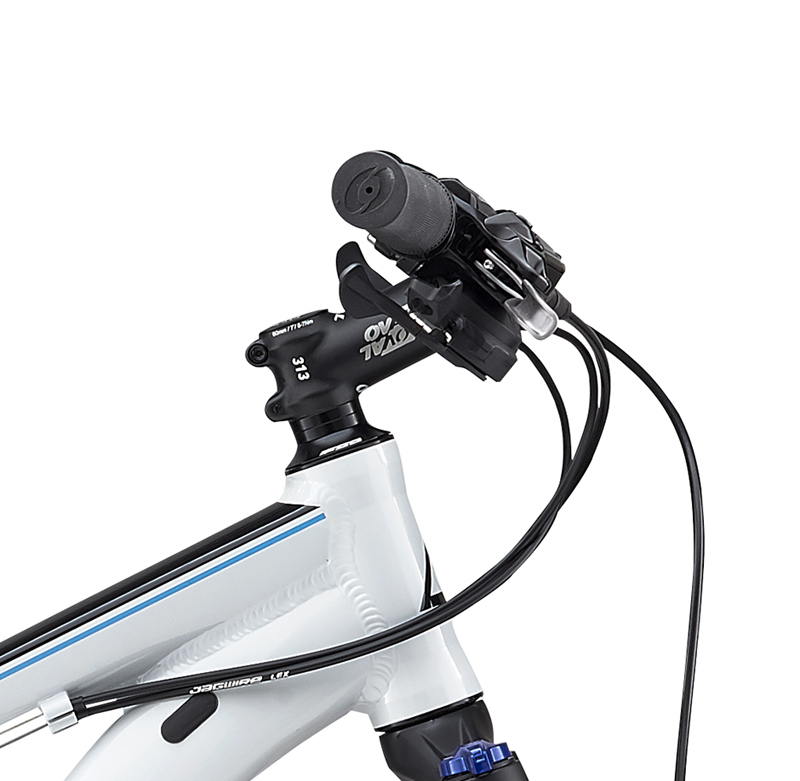 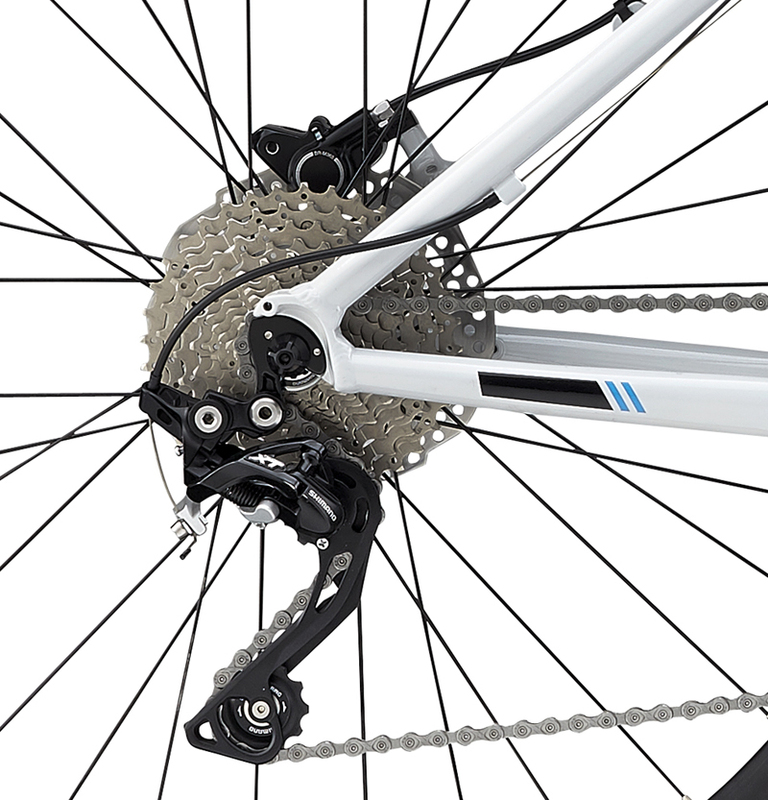 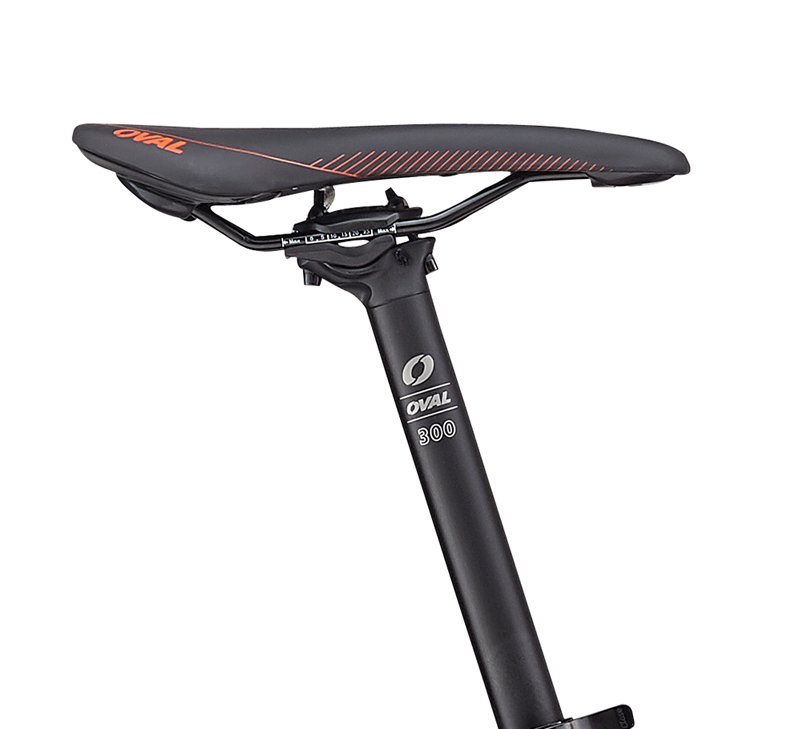 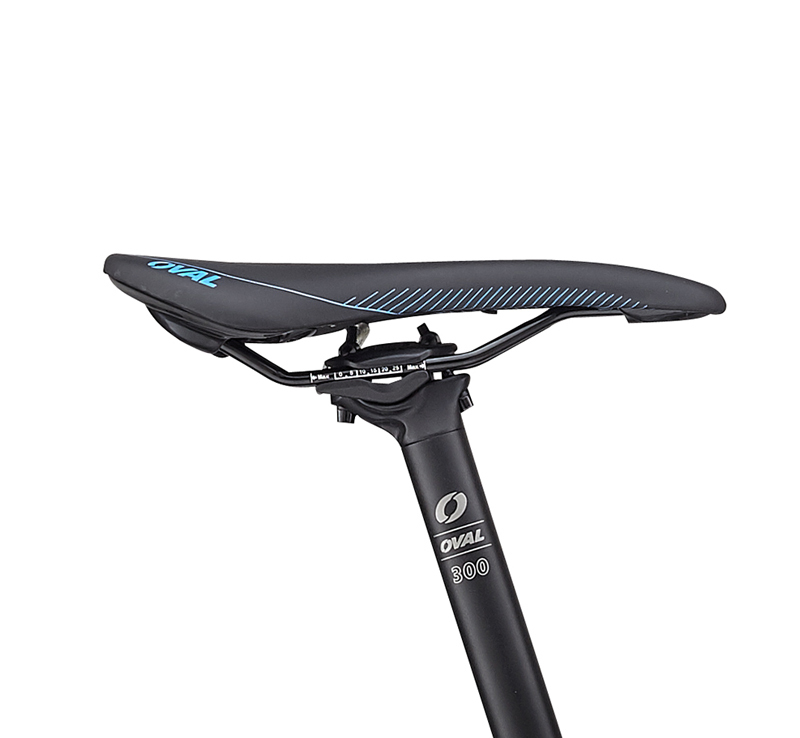 • Shimano M365 Hydraulic Disc brakes provide superior stopping power in all weather conditions.